Changing things up this week for a cause near and dear to my heart: Next Monday is International Epilepsy Day. This initiative is jointly sponsored by the International Bureau for Epilepsy and the International League Against Epilepsy. It is a global event which takes place on the second Monday of February each year with the aim to improve epilepsy awareness and highlights the urgent need for further research of this debilitating condition. Epilepsy not only affects just the patients but their families, too. And incidentally, on the 12th of February my Epi-warrior Lana would have celebrated her 14th birthday. How appropriate! But not only humans can be affected by this neurological disorder; dogs can suffer from it as well. 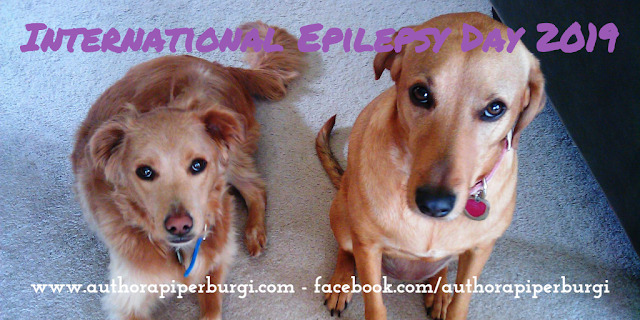 As many of my readers know, my furry friends, Lana and Darren were diagnosed with idiopathic epilepsy at the age of four and two respectively, yet they both lived life to the fullest! While I managed to keep them relatively healthy for little over four years, Lana and Darren did battle with plenty of side effects from their meds but won many of them just as any Epi-warrior would. Supplements, along with lots of love and conventional epilepsy treatments, helped my furry friends every step of the way. They enjoyed traveling, run around and play, or just relax in front of the fireplace. I loved them with all my heart, and they loved life! Although this is not my first epilepsy awareness blog post that I've written without my beloved Epi-warriors Lana and Darren by my side, it's still not easy. It's downright hard, even though I have new furry friends in my life. Thankfully they are seizure-free...knock on wood! I love to look at old photos and videos of my former furry companions before they left to cross the Rainbow Bridge. They were happy and mostly healthy, with a great zest for life. It makes me smile (and sometimes cry) to look at those memories of Lana and Darren, but I hope their message will continue to offer hope to other Epi-warriors and their families. Please know that you are not alone with this monster called Epilepsy and that such a diagnosis is not the end! There is support out there, with many Epi-warrior parents, veterinarians and other resources available to share their insights, experiences, and information. 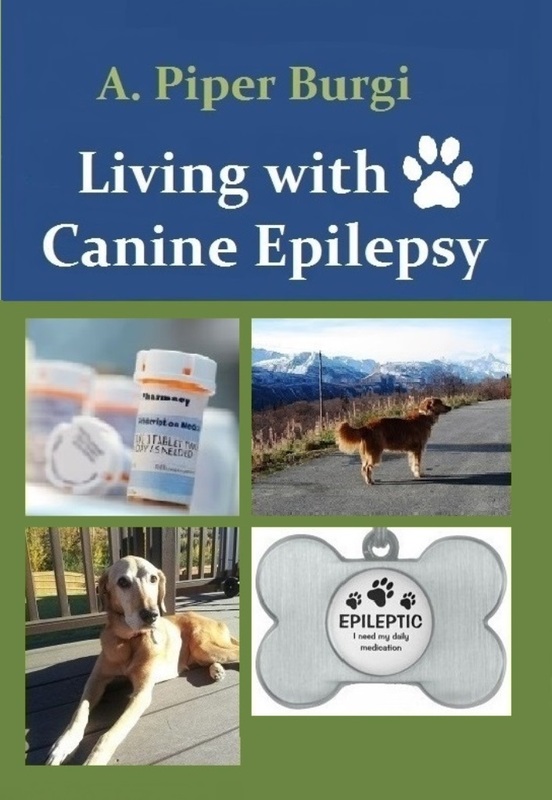 I have shared many resources and websites in the back of my book, LIVING WITH CANINE EPILEPSY, for that very reason. And if you can't find what you are looking for then ask around...I'm sure there is someone out there who can help.